OUR Locations – Deutsche Neurowissenschaften-Olympiade e.V. We are all about "Driving Connectivity"
Local teams are made up of PhD students, scientists, and teachers focused on driving connectivity within their respective communities. Berlin is at the forefront of one of the greatest challenges of this century: deciphering how the brain works. With its three Universities, the Max Delbrück Center, the Bernstein Center for Computational Neuroscience and the Center for Cognitive Neuroscience, Berlin is one of the major neuroscience hubs in the world. As scientific region, Bonn offers a wide variety of academic programs offered by the University of Bonn, Universities of Applied Sciences, and the different international research centers. 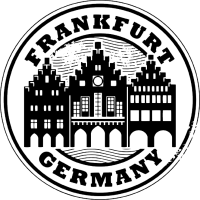 Frankfurt represents a robustly active, collaborative, interdisciplinary neuroscience community ranging in scope from experimental research in medicine and biology to neuropsychology and clinical as well as theoretical neurosciences. The Neurobiology faculty at the University of Heidelberg was founded in 1976 as the second of its kind worldwide (right after the foundation of the Neurobiology faculty at Harvard! ), initiating the establishment of the Interdisciplinary Center for Neurosciences (IZN) in Heidelberg.